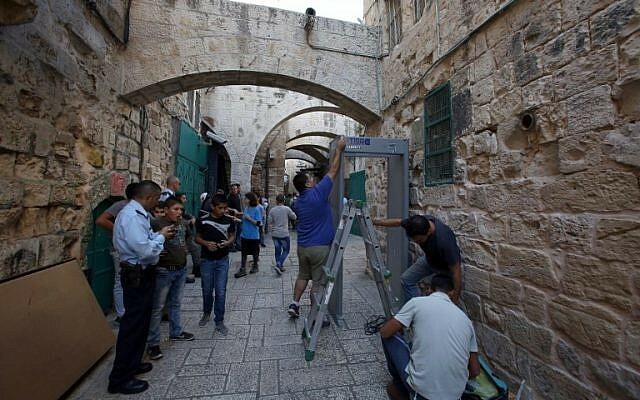 The Israel Police on Thursday installed metal detectors in and around the Old City of Jerusalem — primarily on roads surrounding the Muslim Quarter — after a spate of stabbing attacks, many of which occurred in the area. 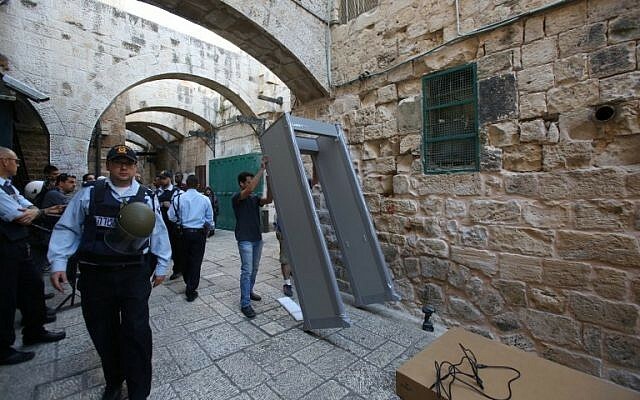 Police said the move was ordered by Public Security Minister Gilad Erdan. 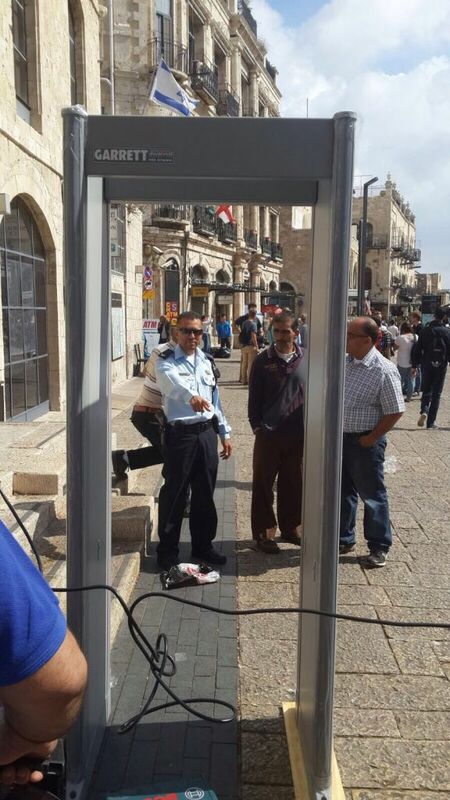 “The detectors are being placed in line with security assessments, field analysis and threats, in order to bolster security for city residents and its many visitors,” a police statement read. 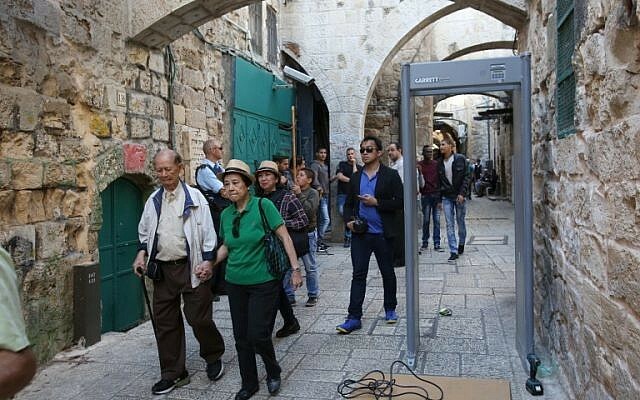 The detectors have been installed at the Jaffa Gate, Damascus Gate, Hagai Street, the Via Dolorosa and Hashalshelet Street. Hagai Street has been the site of two separate Palestinian stabbing attacks in recent days, including one Saturday in which a Palestinian killed Aharon Banita and Nehemia Lavi. 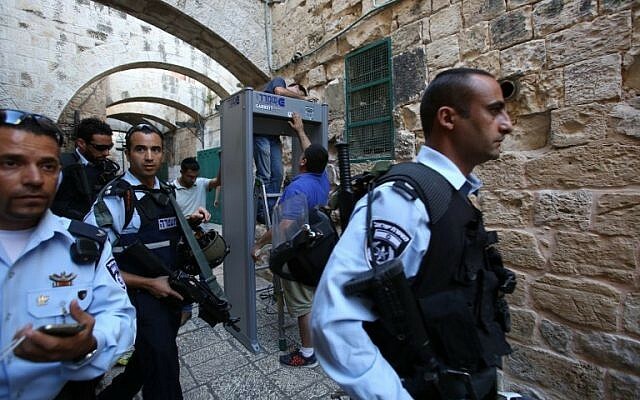 On Sunday, police imposed a two-day ban on Palestinians entering the Old City. 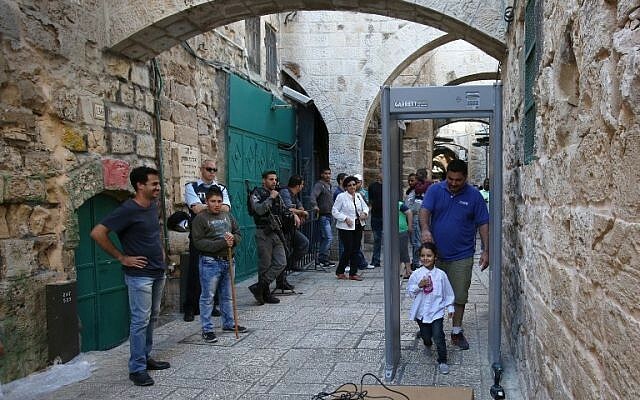 In an unprecedented move, police announced the same day that only Israeli citizens, tourists and Palestinians who live or work in the Old City would be permitted entry. 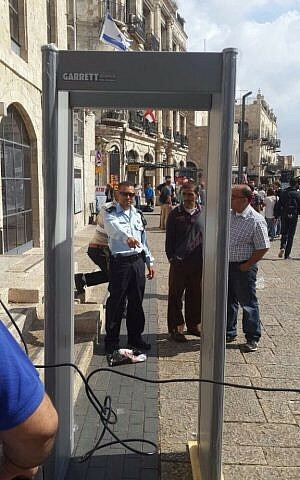 Jerusalem Mayor Nir Barkat on Thursday encouraged all Israelis with a gun license to carry a weapon with them at all times in order to counter the recent wave of attacks.